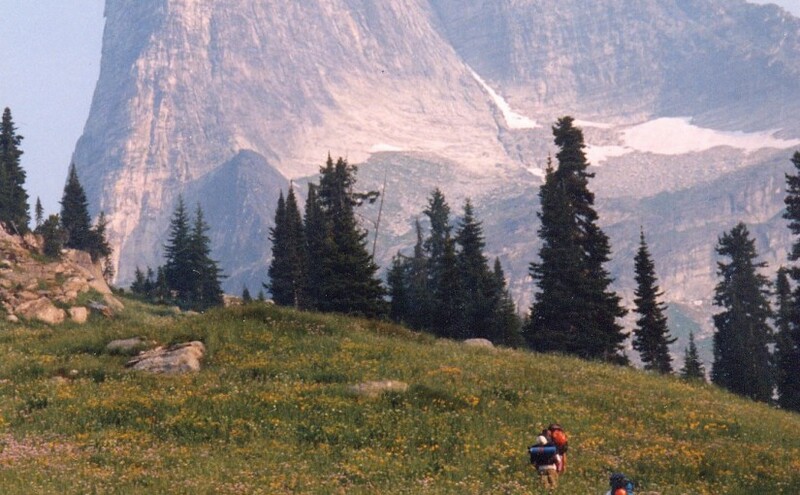 Popular hiking and alpine rock climbing destination. 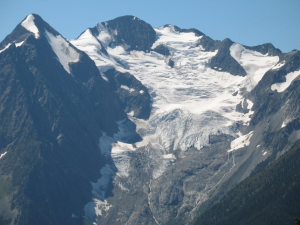 On the edge of the Valhalla Park Mt Gimli is a popular hiking and climbing destination as well as the entry point into the amazing Mulvey Basin. The 5.10- SE Ridge of Mt Gimli is a 5 star classic multi pitch rock climbing route. The descent is the popular East Ridge which is also a very popular class 4 scramble. The Meadow Mountain Cabin is managed under partnership agreement by the Nelson Sno-Goers and bookings can be made by going to http://nelsonsno-goers.webs.com/apps/links/ There is a $10 fee per person for overnight use of the cabin. Popular in the spring as a snowmobiling destination. Restrictions apply on snowmobiling in this area as there is a catskiing operation in the vicinity. More Information. Driving Directions:From the community of Meadow Creek, take the Meadow Creek road north for 3.1 km until you reach a fork in the road. Take the right fork onto the Meadow Mountain Forest Service Road, cross a bridge and keep to the left at all intersections until you reach kilometre 9.4. At this point take a right, and then a left at 10.3 km. For the remainder of the drive, keep right at all intersections . It’s a long drive. 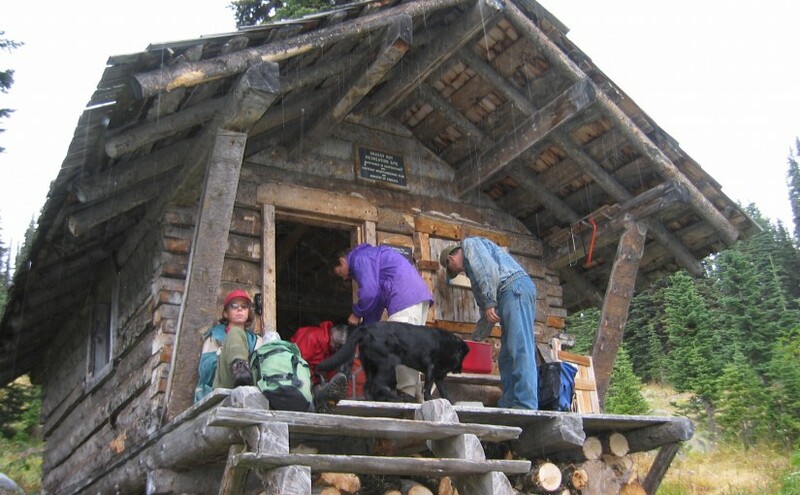 Meadow Mountain is at 28.1 km and the cabin is at 29.0 km. A high clearance vehicle is necessary , and 4wd is recommended as there are steep rough sections on the road. At Retallack follow Stinson Creek FSR ( past the Retallack Catskiing lodge ) up following the left side of the creek until the road crosses the bridge and then take the left fork, continue for another kilometer or so and the cabin is right there. There is some mountain bike activity around the area now so watch for traffic from mountain bikers in the summer and snowcat skiers in the winter. Check in with the Slocan Valley Snowmobile Association and Retallack lodge for activity and closures. Overnight stays must be booked. 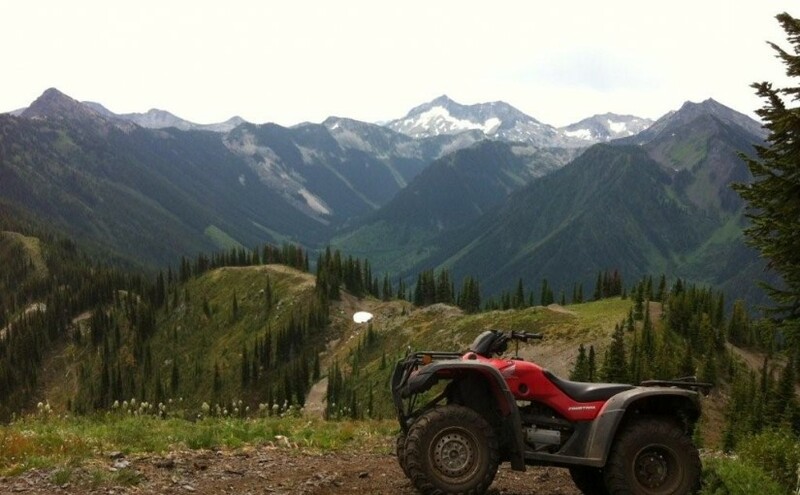 The area is popular with ATV’s in the summer doing the Robb Creek Trail, McGuilvary Creek and the trail over the pass into Sandon/Cody. Retallack Lodge does helicopter and van/truck shuttles on the mountain bike trails in the area. In the winter very busy with snowcat skiing. Driving Directions: Off Hwy 6 onto Arrow Park Road which will also cross the lake with Arrow Park Ferry for +/- 1.4 km and heading in a Northwesterly direction linking up to Saddle Bay South One Forest Service Road for +/- 3.7 km. . Then onto a logging road for +/- 3.7 km continuing along the lake Northward. Then you will arrive at Saddle Mtn. Forest Service Road and travel west up a winding road for +/- 8.2 km to the lookout trail head from this point it is a steep hike . 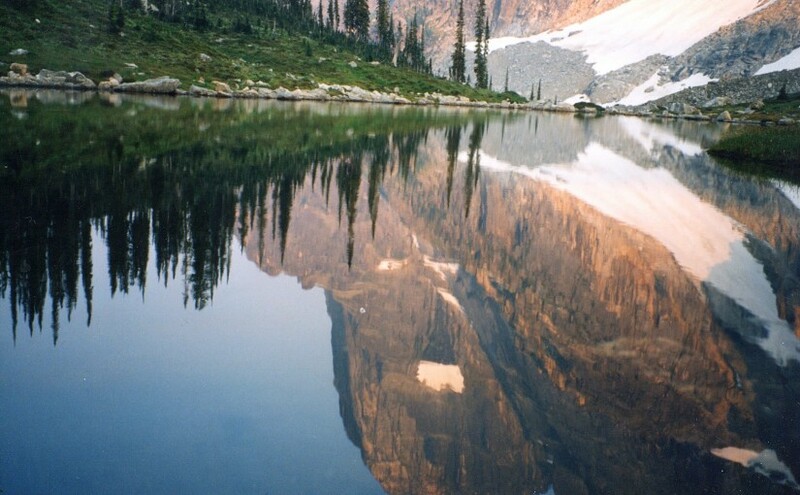 Barrett Lake is a beautiful little mountain lake with a small rustic cabin on the shores. There are opportunities for Quading, hiking, fishing, and camping. Barrett Lake is at 1800 Meters. Popular in the winter for snowmobiling and ski touring. Driving Directions: Access to the Barrett Lake is via Porto Rico Road, 15 km south of Nelson off Highway 6. In summer you can drive up 3 km and park there. (Recommended Quad Access Only from this point). From here you take the lower fork in the road up another 3 km (this section of road is deactivated but is passable in a high clearance 4X4) to a junction, take a right here (about 6 KM up in total). From here, follow the really rough and rocky road for another 4.5 Km up to the lake, stay on the main road on the way up. The last 4.5 Km is extremely rough, and heads to the East up the drainage crossing a South facing rocky slope. Driving Directions: In winter, it takes two days to reach the cabin via the Bonnington Traverse route. In the summer, a four wheel drive vehicle is not necessary. It is possible to drive to the head of Glade Creek, from here, it is between one and three hours of bushwhacking (thick bush with many black and grizzly bears in the area) to reach the cabin. Follow the following driving directions for summer access. Set your odometer to 0 on Highway 3 at Bombi Summit. 0 km = Munson Road and Highway 3, 2.6 km = powerline spur to (R) 3.7 km = Lower Munson to (L), stay (R), 3.9 km = West Munson to (L), stay (R), 5.4 km = East Munson to (R), stay (L), 6.3 km = spur to R, stay on mainline, 6.4 km = spur to (R) is Grassy access, 10.8 km = small pass, road enters from behind and (L), stay straight down the hill, 11.0 km = road forks, go (R) to stay on Munson Road, (L) fork is North Munson, 15.1 km = pass below Twin Peaks, 18.9 km = fork in road, go (L), 22.6 km, = park here and walk the rest of the way. 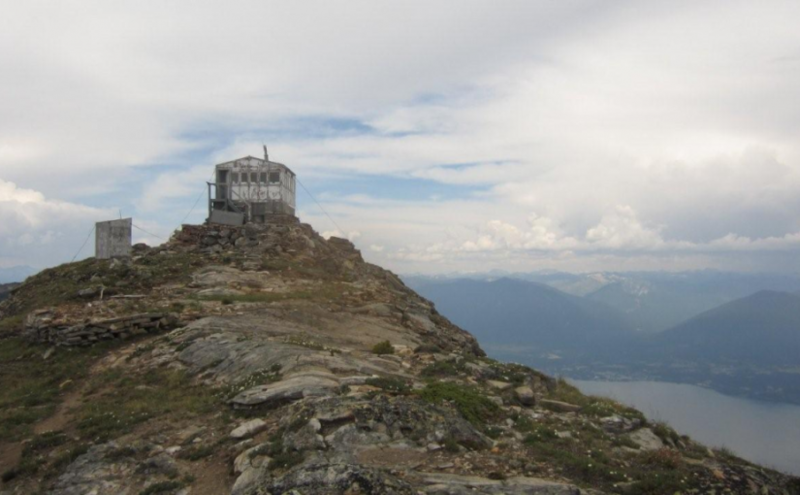 This is a high elevation day-use site which is located at an refurbished fire lookout building. This is a great spot for family oriented outings; views are spectacular and flowers are lovely in season. 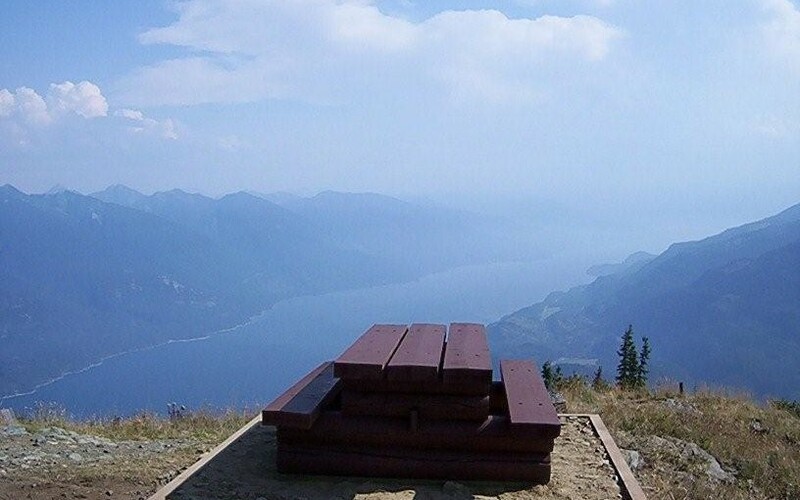 There is also a 2 km loop trail below the lookout that provides access to viewpoints on the rock bluffs. Interpretive displays on fire lookouts in the tower. Driving Directions: From Kaslo, head west on highway #31A for 11 km to the Blue Ridge Forest Services Road, then follow signs. Follow the main road for 11.9 km to the lookout, staying right at the 7.0 km junction. This road is suitable for 2wd vehicles. Driving Directions: In summer, the normal access is via an old logging road in 49 Creek. This road leaves the small community of Blewett west of Nelson and is signed �May and Jenny Road� off Blewett Road (exits to your left as you head west). A high clearance four wheel drive is necessary. Follow May and Jenny Road (becomes Copper Mountain Road) for about 12 km to a pass between Red Mountain and Copper Mountain. Either park at the pass (limited) or continue a further 150 metres along the road to a slightly larger parking area. There are no signs. Follow the old road on foot to reach the ridge south of Copper Mountain. An ATV track leads down to the cabin. Allow one to three hours walking time. Winter access is more difficult as the summer route crosses extensive avalanche paths and is unsafe for most of the winter. 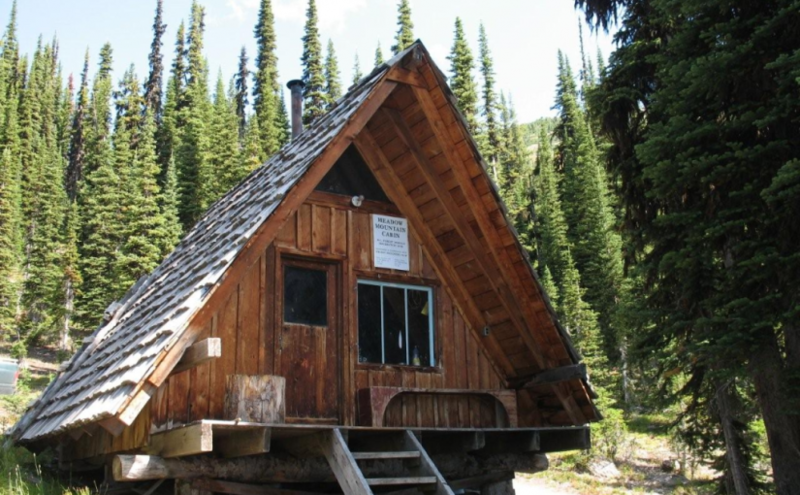 It is possible to access the Copper Mountain Cabin from roads in the Snowwater Creek drainage. Route finding skill is necessary. Most winter visitors to the cabin are staying at the cabin as part of the Bonnington Range traverse and will have skied across from the Steed Cabin. Driving Directions: Access in summer and winter is via logging roads out of Bombi Summit. Follow the following driving directions for summer access. Set your odometer to 0 on Highway 3 at Bombi Summit. 0 km = Munson Road and Highway 3, 2.6 km = power line spur to (R), 3.7 km = Lower Munson to (L), stay (R), 3.9 km = West Munson to (L), stay (R), 5.4 km = East Munson to (R), stay (L) 6.3 km = spur to R, stay on mainline, 6.4 km = spur to (R) is Grassy access. Drive a short distance up this road (about 100 metres) and then park. If you have a two wheel drive vehicle, you will have to park off the main road and walk from there. On foot, follow the old road that leads up to the ridge south of Grassy Mountain. Hike downhill (sketchy trail) to find the cabin. Allow one to three hours hiking time. In winter, follow the same directions but ski directly from the highway. Allow four to six hours.